I have started reading this book. Disney U. It’s loaded with great information. Disney believes that if they treat their employees (aka Cast Members) well, then they will in turn treat their customers (aka guests) well. When it comes to training volunteers, I think we can learn a few things from Doug Lipp’s book. One of the things that Disney does with their new cast members is send them to Disney University for orientation. During this process, they teach them about the history of Disney and what it takes to help cast members have a great experience. They take the time to invest in their cast members and paint the picture of what they want them to do. They believe if the cast members are having a great experience working at Disney, then that will transfer into how well they do their job & the guests will have a great experience. Light bulb moment. Invest in your volunteers. Work hard to help them have a great experience & enjoy what they do. It will have a ripple effect & ministry to children & families will be better because of your investment in volunteers. Training cannot be limited to ‘Here’s what you need to do, now go do it.’ That’s not good enough. Training needs to instill a spirit, a feeling, an emotional connection. Training means creating an environment of thinking and feeling. How well do you do at training volunteers? Do you welcome them with a smile & then put them right to work? At Creekside, we start with an online program that takes about 7 minutes to complete. Volunteers can do this initial orientation training on their own time when it is most convenient for them. We also use a buddy system to partner new volunteers with experienced ones. In the fall we have a big volunteer training event that we pull all the stops out for. We want them to enjoy the training & enjoy what they do when they are volunteering on our Kids Ministry team. How do you train your new volunteers? If you haven’t read this book, you should get it. Lots to learn from it. 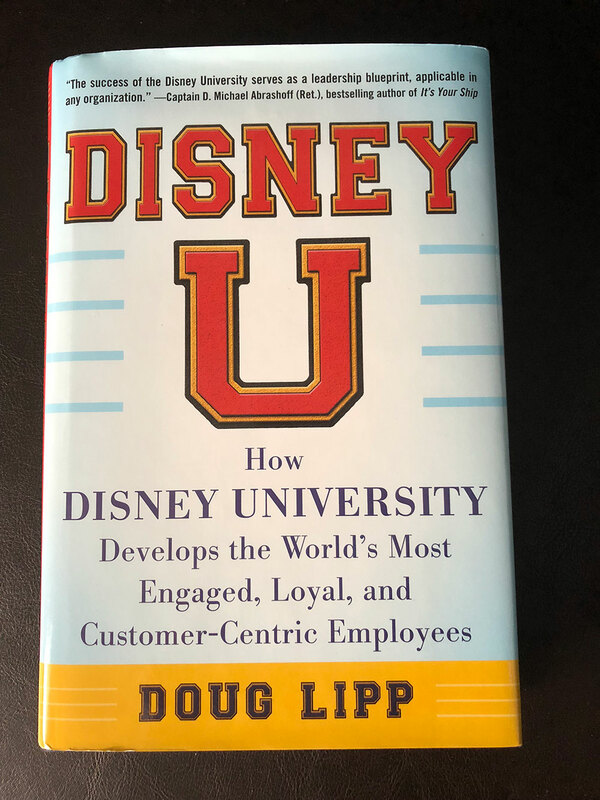 Click here for more information about the book, Creating Magic – 10 Common Sense Leadership Strategies from a Life at Disney. Click here for more information about saying goodbye, Disney style.